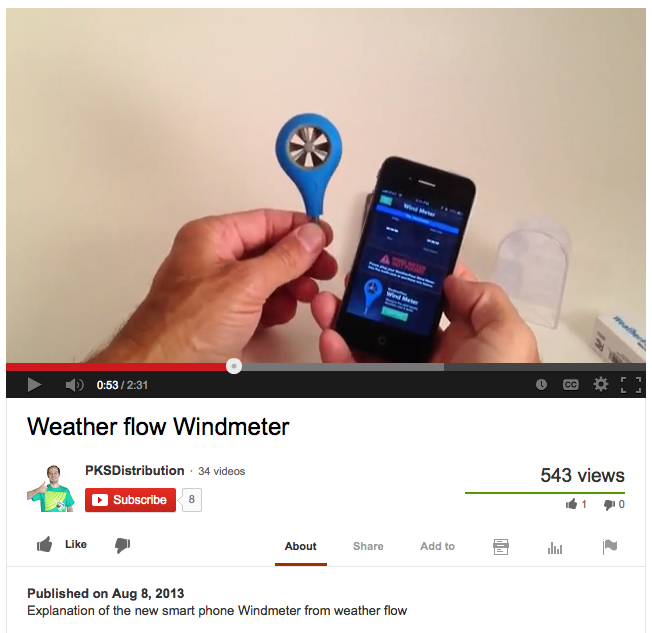 anyone try the wind meter that keeps popping up in the adds section that connects to you iphone or android in the audio jack? with all the wind apps and real time date thats free now, do people even need these anymore? Ultrahawk, the iWindsurf/WeatherFlow SmartPhone Wind Meter is brand-new and just shipping out now, so this is all just starting. These wind meters are almost like portable weather stations -- adding to the total picture. Weather stations update like machines (they are machines!) day in and day out, so they are totally different and crucial, but the crowdsourced Onsite Reports are right now already adding a whole new dimension to iWindsurf.com. 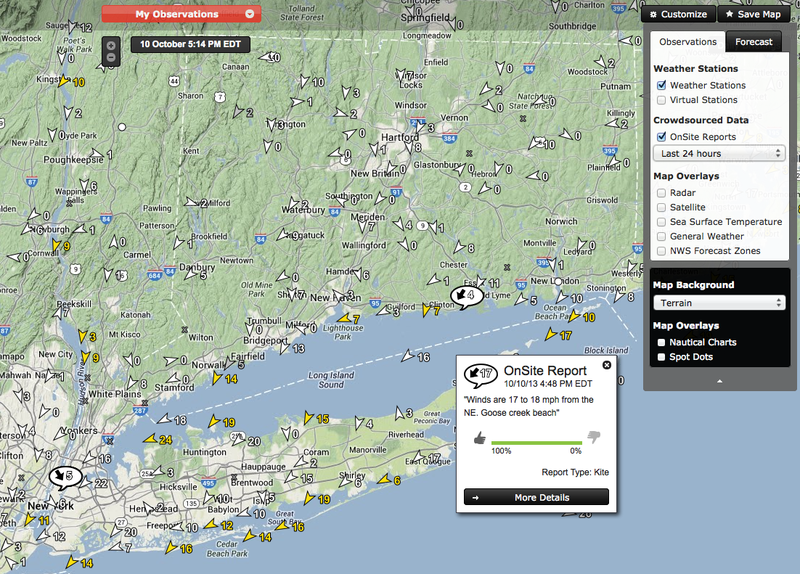 A display / list of nearby Onsite Reports will be added to the "iWindsurf" iPhone and Android apps soon. Right now the place to see our Onsite Reports is on global.iwindsurf.com. Also, when taking a wind reading with your wind meter and leaving an Onsite Report, you can add a few words like "At Goose Creek Beach, swell is fun, wind is getting steadier, this beats work." I can't wait to use it with my leaf blower, just like at the Sailing Site in the 2008 Summer Games. Everyone on wind hold, not a ripple, but those wind blades kept whirring along like it was blowing 20. The leaf blower is a good idea. I'm going to mount one to the front of my car and report how fast I'm driving all over the state. Hmm I'd be interested in trying this thing out. How much is it?